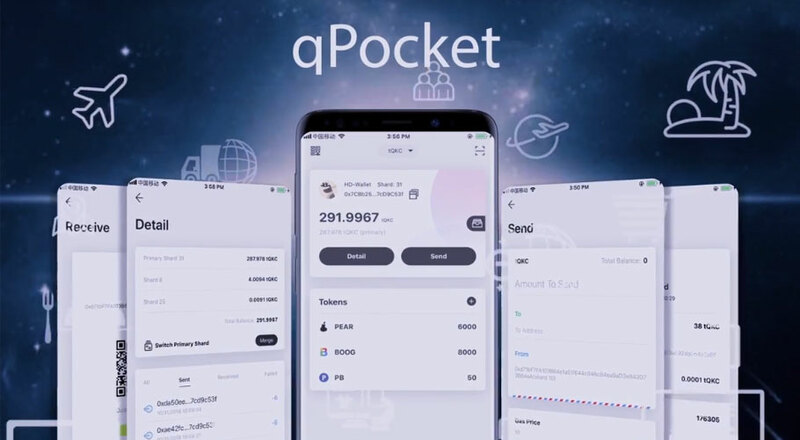 qPocket, a secure mobile crypto wallet that supports QuarkChain, Ethereum, and ERC20 tokens announced today it now supports Tron (TRX) tokens, and their DApps. qPocket aims to provide users with a simple, secure and fully functional portal to blockchain, which offers asset management, DApps, payment, exchanges, and more functions. TRX – TRON launched the native coin is called Tronix (TRX). TRX can be used to vote for super representatives and obtain bandwidth and energy. Freezing the TRX balance in a wallet gives the user TRON Power (TP), which is used to vote for Super Representatives (SRs). TRC-10 – TRC-10 is a technical token standard supported by TRON blockchain natively, without the TRON Virtual Machine (TVM). With TRC-10 tokens, TRON developers can create their own custom TRC-10 tokens, making it easy to build dApps or initial coin issuance (ICO) on the TRON mainchain. TRC-20 – TRC‌-20 is a technical standard used for smart contracts on the TRON blockchain for implementing tokens with the TRON Virtual Machine (TVM). TRC-20 tokens can implement additional logic that TRC10 tokens cannot. A key difference is that Each TRC-20 have more interfaces, and transferring a TCX20 token consumes both Bandwidth and Energy.